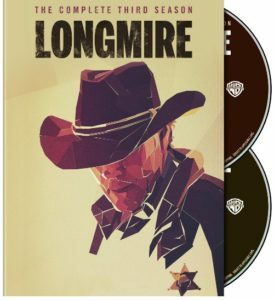 Longmire: The Complete Third Season Hits March 3 - Are You Screening? The TV world is always wild, and some of the cable networks are still figuring out exactly what it is they’re trying to get out of shows, as they attempt to appeal to whatever demographic they have decided is “theirs,” but the cancellation of Longmire was a shock to a lot of people. That’s especially true when you consider the ratings it was getting. Of course, saner heads prevailed, and the show was picked up by Netflix. The last word I head on it was that production is meant to start in March. At any rate, the show is a great one, and stood out during its three season run as one that was trying to set its own mark. The third season release is headed your way, and you want to mark your calendar for this one. It isn’t exactly loaded with special features, but it hardly matters with this show. Includes all 10 episodes of Season 3 and a never-before-seen featurette! 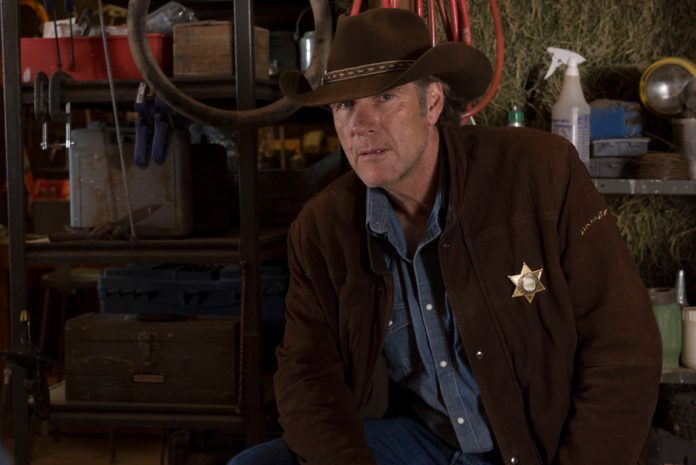 Wyoming Sheriff Walt Longmire is back for the third season of hit Big Sky crime drama LONGMIRE. In this gripping two-disc, 10-episode set, characters must test their courage and face challenges that will ultimately define them. The action-packed third season of this contemporary Western captivated fans across the country, averaging 5.6 million viewers per episode! * Warner Bros. Home Entertainment will release Longmire: The Complete Third Season on March 3, 2015 for $39.98. Order due date is January 27, 2015. Last season, Walt Longmire (Robert Taylor) and his deputies each braved a storm and did it nobly. But for every storm, there is an aftermath. After winning his heated re-election as Absaroka County sheriff against his ambitious deputy Branch Connally (Bailey Chase), Longmire faces a stampede of problems both personal and professional. Branch is mysteriously shot on “the Rez” by the White Warrior spirit of a dead man, while Longmire’s loyal friend Henry Standing Bear (Lou Diamond Phillips), is arrested in connection to the murder of Longmire’s wife’s killer. Longmire’s daughter, Cady (Cassidy Freeman), decides to take up Henry’s case and fight in court to clear Henry’s name. Meanwhile, his deputy Vic Moretti (Katee Sackhoff) sees the return of a stalker from her Philadelphia past. Longmire must navigate these taxing situations as he butts heads with tribal police, big money connections and longstanding enemies. With new cases and new enemies, Longmire: The Complete Third Season brings you Big Sky drama at its finest! Ghosts exist in this season of Longmire. The storm defined the characters, but what’s left is the aftermath, the mysterious conflict which they must face. Can Walt, Henry, Branch and the others find peace once they confront their ghosts?